You probably know by now that snacking on nuts is part of a heart healthy diet. But new research, just published in the Journal of Nutrition, takes this advice to another level when it comes to almonds. 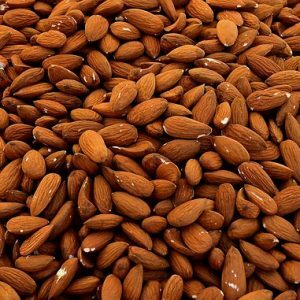 We’ve known that almonds contain healthy fats, fiber and vitamin E, and that they help lower your LDL, or “bad” cholesterol, level. But now researchers have also discovered that almonds help your HDL, or “good” cholesterol, in the task of clearing cholesterol out of our arteries and helping in the process of breaking it down to eliminate it. This new study found that when switching out one high carb snack, such as a muffin, with a handful of almonds instead, the study participants had higher levels and better functioning of their HDL. So reach into that bag of almonds, and check out the new research Here.